The M Resort in Las Vegas, Nevada real estate will have MGM Mirage as investor for the 80 acre Las Vegas mixed use development. The current developer is Anthony Marnell III. The M Resort Las Vegas is located on St. Rose Parkway and the southeast corner of Las Vegas Boulevard. 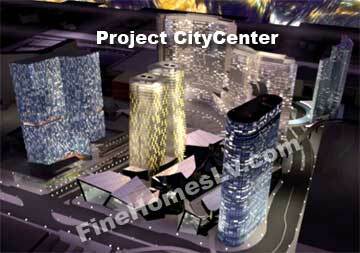 MGM Mirage is glad to be a part of this real estate development and unique resort. They like the management team and the developer’s vision. 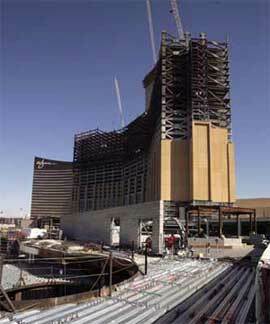 M Resort Las Vegas employment job search link. Trail Ridge homes in Las Vegas, Nevada real estate by Pardee Home has a release of new homes on Saturday, April 29, 2007. 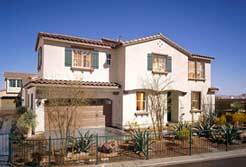 Trail Ridge, two story homes for sale in Las Vegas, are located in the southwestern valley. The new phase of homes include a builder’s incentive of a special move in package and special financing package of select homes by Pardee. Some of the home owners at Trail Ridge have been from a rental, apartment and first time home buyers. The builder has a move in package including a refrigerator, mini blinds, and washer and dryer. Palazzo Las Vegas luxury high rise condos could be the most expensive homes on the famed Las Vegas Strip ever. The luxury condominiums are being developed by Las Vegas Sands Corp.
Pre sales for the condos at Palazzo are expected to start by September, 2007. The construction of the 632 foot high rise condo tower next to the Palazzo has begun. This new luxury casino hotel will have 3,000 rooms and total cost of $1.6 billion. The Strip hotel portion is expected to open by the end of the year. Part of the mixed use real estate will include Barneys of New York, a high end men’s and women’s apparel store. The luxury residences will be located on top of the 90,000 square foot building. MGM Mirage Project CityCenter in Las Vegas, Nevada real estate construction has been increased by 670,000 square feet for this mammoth real estate project, although, the the components of the Las Vegas mixed use residential and casino project were unchanged. Because of the strong sales of the Las Vegas luxury condominiums with an expected November 2009 opening there has been revised revenues and costs estimates.